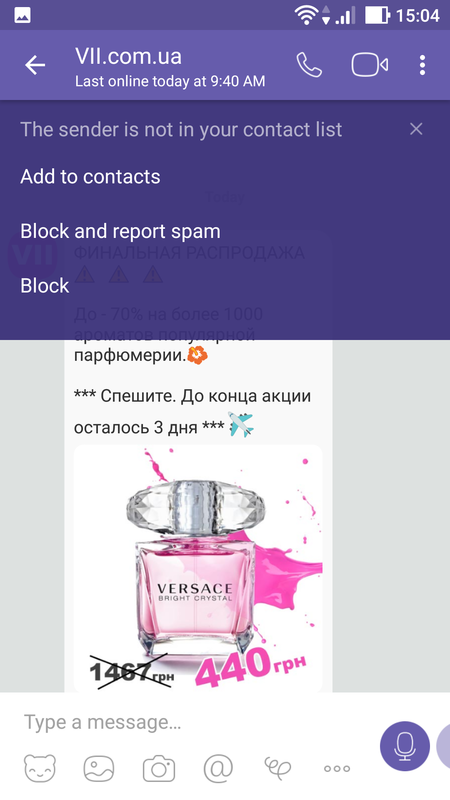 Viber for Android is an ultimate multiplatform messenger with the implemented functions of VoIP, video calls and business-conference handling with up to 150 participants. Considering the fact that Viber is one of the most popular apps for text, voice and video chats, media sharing and making calls abroad, you will surely find here pretty a lot of useful stuff. 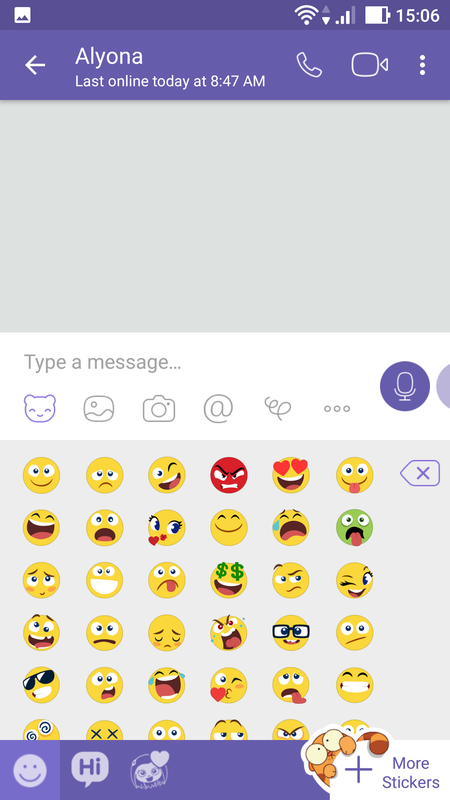 The simplicity, comfort and practical view are the cornerstones of Viber for Android. The interface of the tool is so clear and adaptive, that you will spend bare couple of minutes before all the features will be absolutely transparent and recognizable to you, if you install the tool on your smartphone. In addition to the free calls feature, version for Android has a function of the paid calls to any country of the world for limited price (for instance, one minute of call to any mobile or landline phone in USA costs 1.9 cents only). The prices to different countries vary one from another, so to be familiar with the prices you may visit special page on the official site of the project, dedicated to Viber Out feature. It is worth to say, that the quality of connection via Viber is extremely high. The only thing which should be noticed is a small delay between the speaker and the subscriber, but if the distance between the persons speaking is not too high, you won’t even notice that. To make a call in the program, you may use as the Wi-Fi or wired network to reach the subscriber, as the cellular network if other connections are not available to you at the moment. It is reasonable to use secured steady connection or 3G, so that the quality of the video-talk wouldn’t disappoint you. You may download Viber for Android on the following page in the section below the description. wide range of settings and options, urged to customize the view and functional part of the utility according to your preferences and needs. In addition to contacting people from real-life, you are able to subscribe to public boards of different communities and companies. The public boards share lots of useful matters, like sales of their goods and items, local news dedicated to their area of interest, new idioms and collocations from foreign languages and so on. 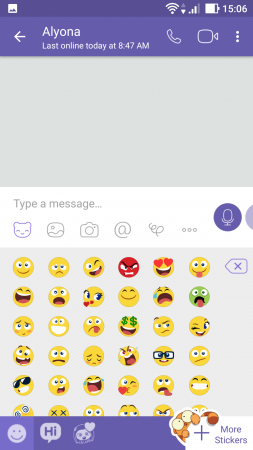 As the PC version, Viber for Android has a lot of possibilities for decorating your messages with stickers and emoticons. The application includes internal shop, where you can order additional stickers. If you can get by with free images, you may not pay at all, managing with only embedded decorations. 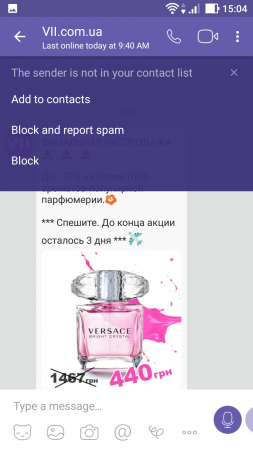 The variety of the objects to share in Viber for Android is extremely high: it can be a graphical image smile, media-note, screenshot, a shot from camera, doodle, external file, location or info about one of your contacts. Whatever you choose, the result will be really inspiring. 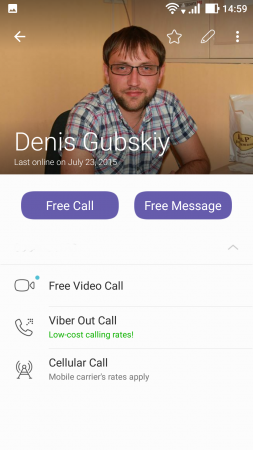 Free Viber for Android allows to keep your conversations secure, bright and innovative. By learning the basics of the app you’ll be able to easily keep in touch with all of your friends, regardless what country they are located in. 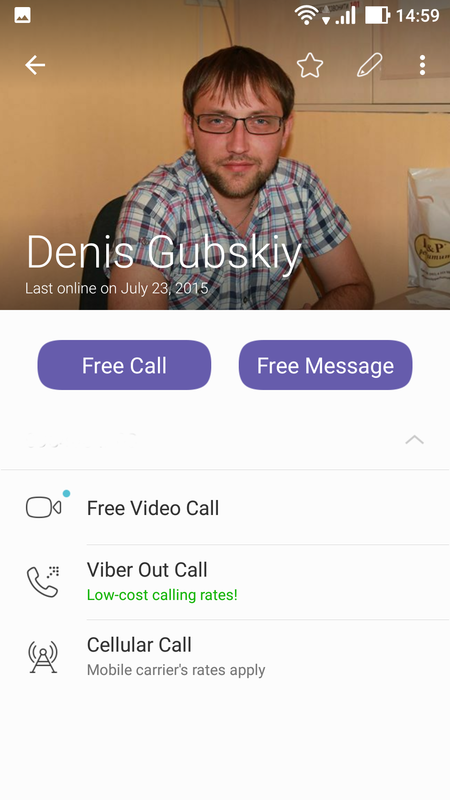 *Viber for Android is available for free downloading without registration.